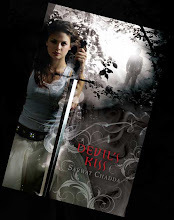 Sarwat Chadda's Blog: Wings by Aprilynne Pike, Kiss Me, Kill Me Part 10! 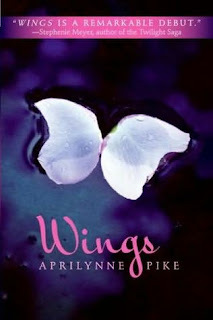 Wings by Aprilynne Pike, Kiss Me, Kill Me Part 10! Thank goodness for a brand new fairy tale. Yes, I know, we’ve got Seelie Courts and all that trouble with iron and whatnot, but not with Wings. The story’s all slow burn, a perfect contrast to all those angsty, brooding and trouble-laden YA that is filling the shelves at the moment. Laurel, the fifteen year old heroine of Wings is surprisingly well adjusted, from a stable family and, especially for modern YA, actually happy. Aprilynne’s book comes a breath of pure, forest fresh air and a great break from the smoggy urban settings that seem to be the natural habitat for such supernatural stories. Okay, I’m not spoiling this for anyone to say that Laurel discovers she’s a fairy. It says so on the book. What Aprilynne does is give us a fresh perspective, one that’s totally original and thought-out, elegant and mythic. Her world is based wholly around nature and the cycles, with faeries and their powers dictated by the seasons. Winter fae are the most powerful and the rulers of the fae world. Spring fae are warriors (very well represented by Tamani) and then we have summer fae and fall fae, who specialize in elixirs and potions. And we have trolls. The mis-shapen superhumans and the antithesis of the fairy, basically where nature got it wrong. The book opens with Laurel, after years of home schooling, finally joining Del Norte High. She befriends David, and a quite but deep friendship develops. The fae reveal is well handled and builds naturally, Laurel is not human and the fairy have gone a long way in protecting her and introducing her into the human world. There are tricks and deceptions, betrayals along the way and the mysterious Mr. Barnes, determined to buy the old family land and the forests beside it. The heart of the story is the secret lying in the heart of the forest. That too takes a traditional legend and turns it on its head in an exciting and surprising way. I bumped into Aprilynne (again) while on tour around the US. There was an attempt to recruit her daughter into the Templar cause, failing miserably. Still, give it another few years and I might try again. 1. The fairy setting you’ve created is utterly unique. Can you explain how the new myth came about? Actually, it started with a really bad idea! I was working on a different book when I woke one night wanting to write about a goth faerie who lived with three old women and couldn’t go out after midnight because there was no power from the sun… Cinderella meets Superman, I guess. It seemed like a great idea at four in the morning and did not seem so great at eight in the morning, but the idea of faeries being powered by the sun led me to ask, “Why would that be?” The obvious answer was photosynthesis. We’ve all seen flower faeries and nature faeries in art and sculpture; I just brought them into YA. This created a challenge regarding the setting, because it rooted (hah!) my faeries in science. A lot of faerie authors either write about small, winged pixies or otherworldly, almost spirit-like fae, and the usual settings for those didn’t seem to fit well with my flower faeries. It was my husband who pointed out that in Arthurian legend incorporates faeries without really exploring the exact difference between human and fae—Morgan le Fay being the prime example, but even Lord Tennyson’s “Lady of Shalott” is referred to as a “fairy.” In Arthurian texts, magic terms like “fairy” and “sorceress” lack the almost rigid meanings they’ve acquired in modern fiction, to the point that they are even used interchangeably at some points in history. And Avalon, a legendary island known for its vegetation (specifically, its apples), seemed like the perfect place for my faeries to live. I also wanted my faeries to feel a bit universal, so I went looking for similarities between Arthurian legend and other mythology around the world. I looked for magical islands, magical gardens, anything to do with plants and seasons and even people who live longer than humans generally think possible. For example, the Japanese tale of Ryugu-jo, the undersea palace with all four seasons at its walls, became partial inspiration for the four-sided gateway in Avalon, and Greek tales of the Hesperides and their garden also played a role. 2. There is a great contrast between David and Tamani. Both are sincere and honest guys, a stark change from the clichéd teen bad boys. Do you think we’ve come to the end of that road, and we’re looking for a new type of love interest? Oh, the teen bad boy archetype existed before Romeo first killed Tybalt and will probably be going strong when all record of Edward Cullen’s brooding bloodlust is eradicated from the universe by the fiery death-throes of our worn and weary sun. Something I think a lot of people forget about YA fiction is that ten years from now, there will be a whole new audience working through the very same issues their parents worked through twenty or thirty years before, but (with the exception of a handful of “classics”) they won’t want to read about it in the books their parents read—they will want something to call their own. So no, I don’t think we’ve come to the end of that road at all. :) But that doesn’t mean every author has to take that road every time, and there are some interesting stories to be told outside that particular genre trope. When I started writing about Laurel, I didn’t want her choice to be obvious from the get-go, so I gave her two different versions of the “perfect boyfriend” to choose from. My goal from the beginning was: Book One, readers should be torn; Book Two, readers should understand why Laurel chose what she chose; Book Three, readers should see the inevitable coming; Book Four, readers should be torn again. In another year or so I guess we’ll see how successful I was! 3. I loved your descriptions of the woodland settings. As a city boy born and bred it was wholly new and fantastical territory for me. Are the descriptions based on real locations? They are, but only in the most general sense that I am drawing from my own impressions of woodlands I’ve visited in my life. I was also raised mostly in the city—and not just any city, but in Phoenix, Arizona. Phoenix is located in the Sonoran desert, home to such enchanting flora as the iconic saguaro cactus, the reportedly-edible prickly-pear cactus, and the legendary cholla “jumping” cactus. In high school my parents moved me to Driggs, Idaho, which is a very small town, but while it is greener than Phoenix (at least in the summer), it’s not exactly in the middle of an old-growth forest. I’m not sure whether this puts me at an advantage or a disadvantage, honestly. On one hand, when it comes to woodlands I don’t have a lot of experience to draw from; on the other, I suppose I probably observe and enjoy forests in ways the people who live there might take for granted. Honestly, I’m so bad with plants, the idea that there are places on earth where plants flourish spontaneously will probably never cease to amaze me. 4. Illusions, the third book is due out in a few months. Any little hints you can give us? Absolutely! 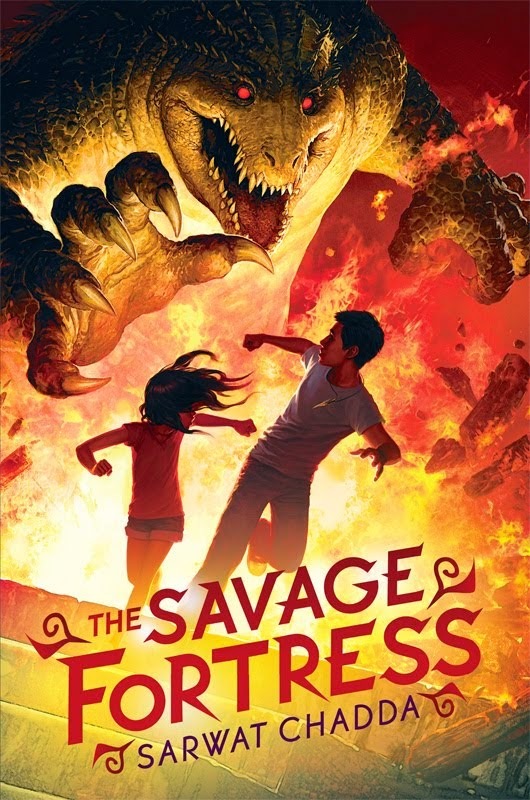 But for those who haven’t read the first two books: spoiler alert! In Illusions, readers will get to experience Laurel and David as a “comfortable couple,” see what Chelsea is like now that she’s in on Laurel’s secret, and learn what Tamani has been up to since his disappearance at the end of Spells. A new student will attract old dangers to Laurel’s school, Klea will collect on a favor, and important questions raised in the first two books will finally be answered. you cannot be serious, Aprilynne.